The interesting photos in these post show a B-1B Lancer from Andersen Air Force Base (AFB) in Guam and two F/A-18E Super Hornets from the “Golden Dragons” of Strike Fighter Squadron (VFA) 192 flying over the aircraft carrier USS Carl Vinson (CVN 70) as it transits the Philippine Sea. As we have recently explained the B-1s are deployed in support of U.S. Pacific Command’s (PACOM) Continuous Bomber Presence (CBP) mission. 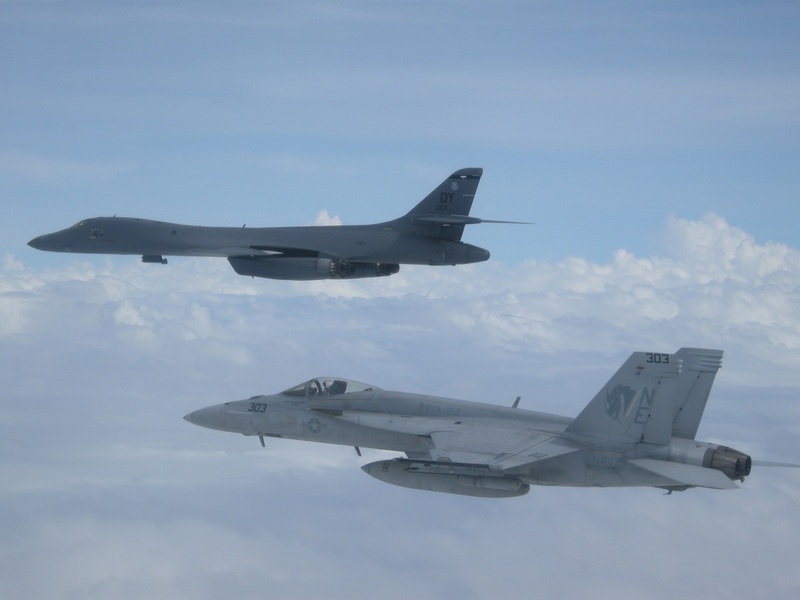 In place since 2004, the CBP missions are conducted by U.S. Air Force (USAF) bombers such as the B-1, B-52 Stratofortress and B-2 Spirit in order to provide non-stop stability and security in the Indo-Asia-Pacific region. 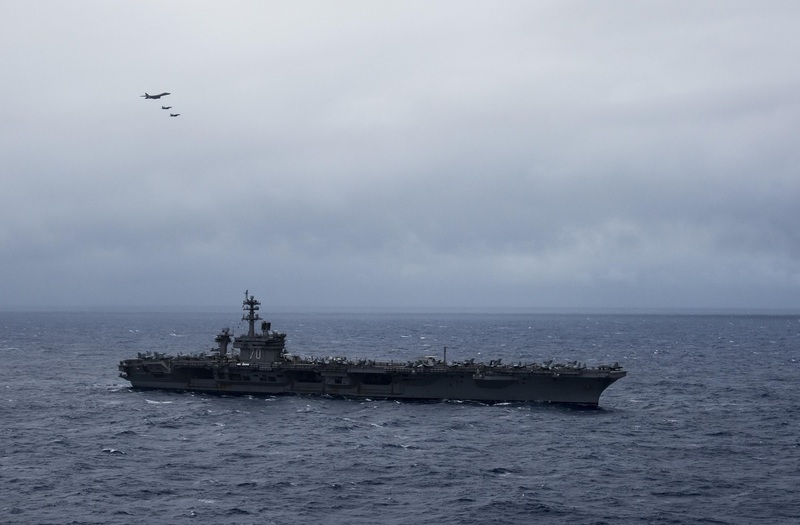 The Carl Vinson Strike Group is on a regularly scheduled Western Pacific deployment as part of the U.S. Pacific Feet-led initiative to extend the command and control functions of U.S. 3rd Fleet. U.S. Navy aircraft carrier strike groups have patrolled the Indo-Asia-Pacific regularly and routinely for more than 70 years. Noteworthy the U.S. air assets unique ability to integrate with regional partners brings a significant rapid strike capability that enables readiness and commitment to deterrence and offers assurance to the U.S. allies in the region.